“The Quiet Man” could echo again around the streets of Cong this summer if the man best known for playing James Bond can help secure funding for a film that is back on the horizon after years of planning. 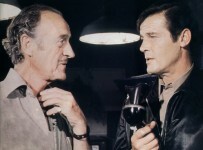 “Connemara Days” is a love story located on the set of “The Quiet Man” and though Sir Roger Moore has been on board since it was first mooted 2008, the production has been dogged by lack of funding. 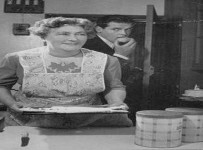 The film was originally meant to be shot over two years ago to mark the 60th anniversary of “The Quiet Man” in Galway and though it is practically fully cast with most of the pre production work already done, filming couldn’t go ahead until finance was in place. Producer, Chris Patterson of Causeway Pictures Ltd, which are a film company based in Belfast, said this week they were bringing the ‘pitch’ to the Cannes Film Festival to finalise finance. “We are near enough finalising the finance for it and we should be on the streets of Cong this summer. “The way the economy was it was difficult for us to secure funding for the project but we are hopeful that we will now be sticking to our schedule which includes a January 2012 release date,” he said. Other cast members include Irish American actor Aidan Quinn who was in Michael Collins, “Legends of the Fall” and” This is My Father” among others, Irish actress Sarah Bolger, star of “In America” and “The Tudor”s, Geraldine Chaplin and Stacy Keach – or Mike Hammer to fans of the private eye genre from the seventies and eighties. 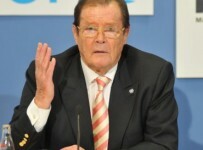 Sir Roger Moore will also be Executive Producer. In fact the film is one of Roger Moore’s all time favourites. The shoot is expected to be about four weeks, the first two in Cong and the other two in Belfast. The film is a romantic comedy about a young woman who falls in love with one of the assistant directors on the crew during the making of “The Quiet Man”.